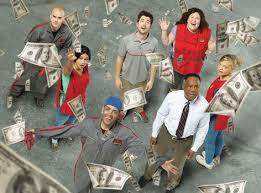 Replaced by "The Shark Tank Show"
The Lucky 7 Show featuring seven gas station employees winning the lottery lasts a whopping 2 episodes before ABC pulls it from the Tuesday Night lineup. After watching the trailer, you know I might of even watched The Lucky 7 Show had I known it was on TV, but like millions of other people, I wasn't even aware this new lottery show was on. Maybe that's a good thing because I'm not a big fan on watching a lot of TV unless I'm learning something like I do when watching the Shark Tank Show, but it's always interesting seeing how people change after winning huge sums of money all at the same time. With the worst Fall TV Ratings in ABC's History the Executives had no problem pulling Lucky 7 after two episodes on Tuesday Night and replacing the time slot with an up and coming new Hit "Scandal Show". The Scandal rerun numbers started off a little better than the Lucky 7 Lottery Show but ultimately the numbers also fell to new season lows and now it's being replaced by the Shark Tank Show for at least the next two weeks. If there was one set of negotiations that really stood out in all of season 4, episode 410 is "The One" watching a million dollar deal evaporate into thin air with the Plate Topper. This is one of the very few episodes that only three new contestant's go in front of the Sharks as they go several rounds determining its valuation. This is also the episode where Seth Mcfarlane helps pitch the No Fly Cone and proves He might want to stick with just doing Comedy in the future. 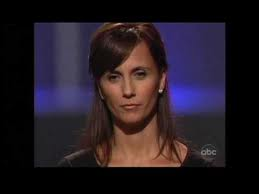 And finally we have one of the most determined contestants ever seen on the Shark Tank with the Cool Wazoo who refused to accept no for an answer when all the Sharks were already out. The Featured Shark Tank Update for episode #410 is with Duality Cosmetics from Shark Tank Season 3 and the Big Deal made with Lori Greiner. Episode 403 starts off with the popular Posture Now Brace that's become a huge success and one Mark Cuban invested $100k to further develop this product. 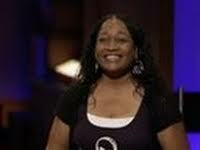 This episode is also when Rock Bands makes its debut on the Shark Tank Show. This is not just any rock band but "The Rock Band" who even has Robin Leach to help pitch this product. The Liz Lovely Cookies makes a good pitch to the Shark's with their Gourmet Cookie Business that is now in 1400 Stores across the country. The last entrepreneur to appear on episode #403 is the Fuzzi Bunz Diapers that makes the coolest looking reusable diapers on the market. The Featured Shark Tank Update is the Standup Tower Paddleboards where Mark Cuban invested in a third ownership of the business and took it to a multi-million dollar company in record time. This will be an interesting test for the Shark Tank Series stepping in at the last minute and seeing if it can revive these dwindling numbers on the popular Prime Time Slot on Tuesday Nights. Considering the two episodes they are choosing to air during that time slot, most likely they will at the very least double the number of viewers and prove once again the Shark Tank Show is a proven Winner time and time again. In a way the Shark Tank is a lot like the Lucky 7 Show where you win the lottery just by going on the Show. The only difference is this is a Real Reality Show with real businesses and real jobs being created as a result. It's like being handed a lottery ticket that's a "Guaranteed Winner" and will keep paying dividends for many years to come.